As the connected world of travel becomes a reality, 91 per cent of airlines plan to invest in cyber security programs over the next three years, a new report has unveiled. According to the Sita Airline IT Trends 2016 Survey published today, the level of commitment to cyber security reflects the consensus that a lot is being done in this area but there is always more to do. Sita, the travel technology provider to the air transport industry, carried out its survey among the world’s top 200 airlines, and discovered that cyber security at airlines is progressing. Three years ago less than half of airlines (47 per cent) said they were making advanced preparations to manage cyber risks -today this has doubled to 91 per cent. The focus on cyber security also reflects the move to the ‘Internet of Things’ (IoT) in which a vast number of physical objects will become connected to the internet. This enables tracking, data collection, analysis and control, which necessitates more security. An overwhelming majority of airlines (68 per cent) are investing in IoT programs in the next three years, up from 57 per cent this time last year. A key area of IoT investment is in connected aircraft which 46 per cent of airlines believe will give a better passenger experience. Today 37 per cent of airlines operate connected aircraft and this will jump to two thirds by 2019. Currently ‘internet via passenger devices’ is the service offered by most (33 per cent). Over the next three years big increases in services are expected with more than half of airlines planning to provide destination services and duty-free shopping apps, while 70 per cent plan to provide multi-media file streaming on passenger devices. Other trends of note are the move to more software development in-house and the shift to outsource IT operations. In future a growing proportion of airline IT budgets is likely to be spent on innovation rather than service continuity with innovation rising to 36 per cent of overall IT and telecommunications spend in 2016. Providing passenger services via smartphones continues to be a key area of investment for airlines; 79 per cent are planning major investment over the next three years while a further 17 per cent are planning a pilot program or R&D in this area. 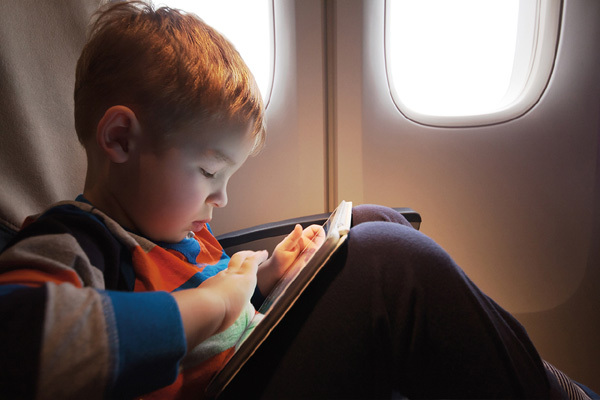 Services to passengers on tablets will also see significant investment with 71 per cent of airlines planning major programs for these devices (up from 63 per cent in 2015). Airlines are using social media activity and physical location to tailor personalised offers to passengers; in fact three quarters plan to do this by 2019.